National Birth Mother’s Day: We Thank You Today & Every Day! Posted on May 9, 2018 September 25, 2018 in Blog. 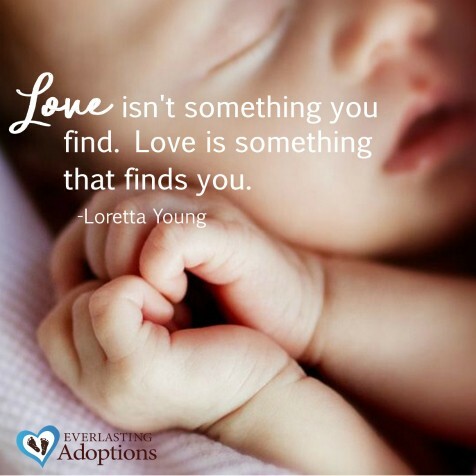 The staff and adoptive parents at Everlasting Adoptions want to thank all birth mothers for their incredible acts of love. Our families wouldn’t exist without them. Not a day goes by that we don’t recognize how their greatest sacrifice has brought our families their greatest joy. Our adoptive parents reached out to us to share their experiences and how their birth mothers’ selfless acts of bravery have forever changed their lives. “As mother’s day approaches, we plan a family activity to do together to celebrate the gift of motherhood. But, as an adoptive family, we are also reminded of how much we owe to another mother in our lives; our son’s birth mom. I could not celebrate mother’s day without her. We would not be a family without her. My son wouldn’t even be alive without her. What am amazing gift! It is something that can’t be taken lightly. 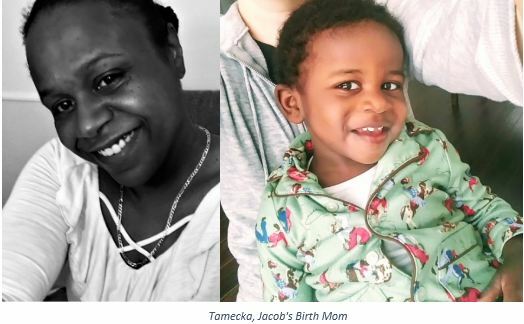 To all birth moms who sought or are seeking a family for their children, and especially to our birth mom, Tamecka, thank you so much for exhibiting the kind of selflessness and love this world needs. 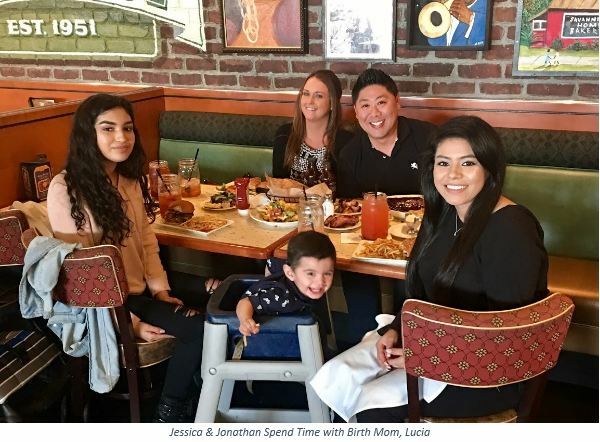 With both Jessica and Jonathan and their birth mom being just a few hours away from each other and in the same state, they had the extraordinary opportunity to develop a deep relationship with Lucia. Not only were they able to get to know Lucia on so many different levels, they were able to get to know her little boy as well. They enjoyed many outings together. From golfing and swimming to apple picking and magic shows, there was never a lack of laughter and smiles when they were around each other! They of course made sure to gather for meals, eating everyone’s favorite foods! Lucia, Jessica and Jonathan spent so much time also getting to know the precious baby boy that was kicking away in her belly. This time together allowed them to share so much about their lives and provided love and support that went much farther than their adoption. Knowing that having an open adoption was crucial to Lucia’s adoption plan, being able to spend so much time together allowed them to learn so much about each other and build a strong foundation for their future. The stories of love and gratitude for birth mothers are unending. We could never adequately express our appreciation for their courage, but we hope that birth mothers everywhere can take this small gesture as a token of our appreciation. Posted on March 31, 2018 September 25, 2018 in Everlasting Birth Announcements. 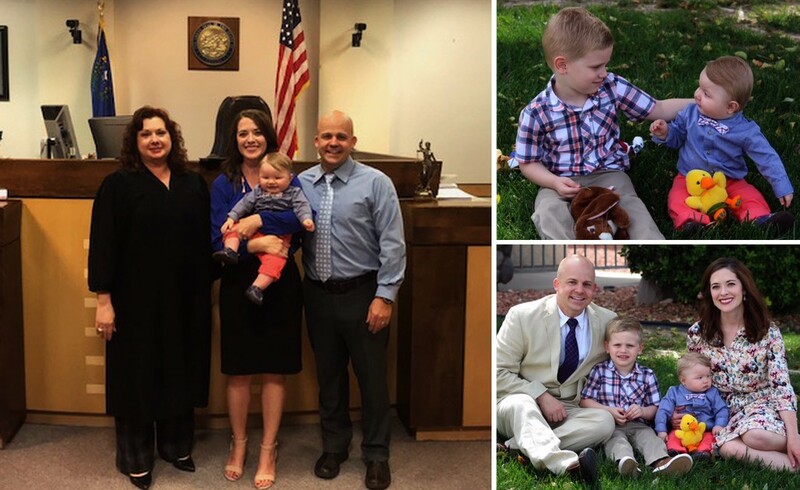 Congratulations to our proud parents, Andy and Peyton who began their journey with Everlasting Adoptions in December of 2016 and welcomed their baby boy 15 short months later! 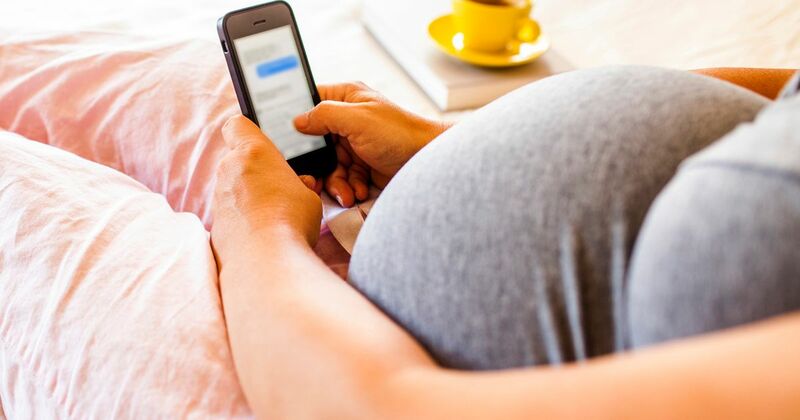 They began communicating with a birth mom who was interested in getting to know them in early September 2017. After some back and forth and with guidance from Everlasting’s staff, it was clear to them that this match was not meant to be. Andy and Peyton were disappointed, but realized situations like this do arise and the right birth mom for them was out there. Everlasting notified them a few weeks later that another birth mother was interested in getting to know them. Andy and Peyton were thrilled to be matched again so quickly, but they moved forward cautiously optimistic. As with most matches, challenges can arise along the way and Andy, Peyton and birth mom’s experience was no different. 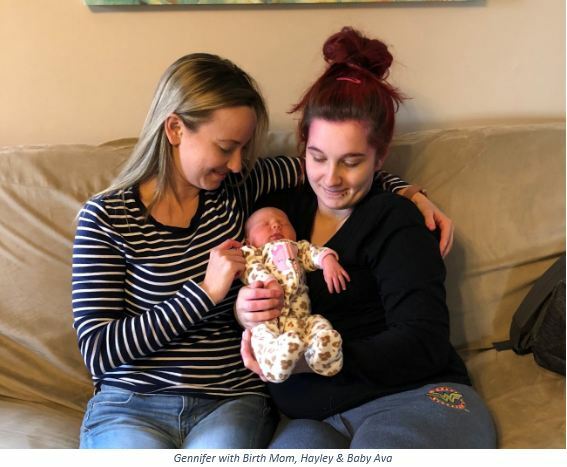 With the help of Everlasting Adoption’s staff, Andy and Peyton offered support and flexibility to birth mom when she faced uncertainty with her decision. Despite internal anxieties, they remained patient and gave her the space she needed. Their patience paid off and things were quickly back on track. Andy, Peyton and birth mom’s relationship continued to grow and they were even video’d in on the ultrasound revealing the gender of the baby. How thrilled they were to find out it was a baby boy! 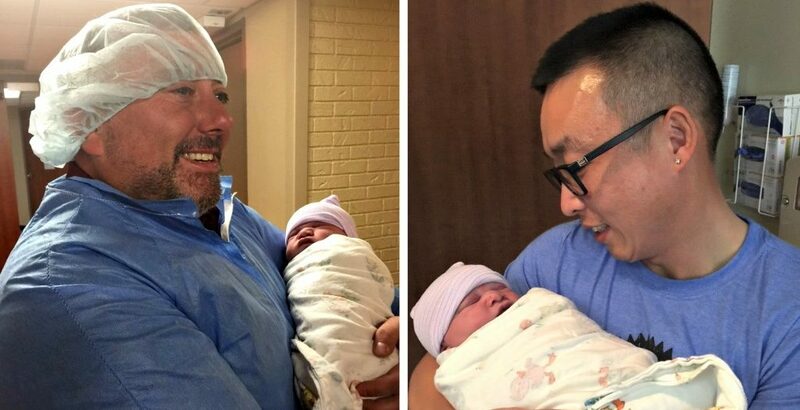 The time had come for Andy and Peyton to finally meet their baby. 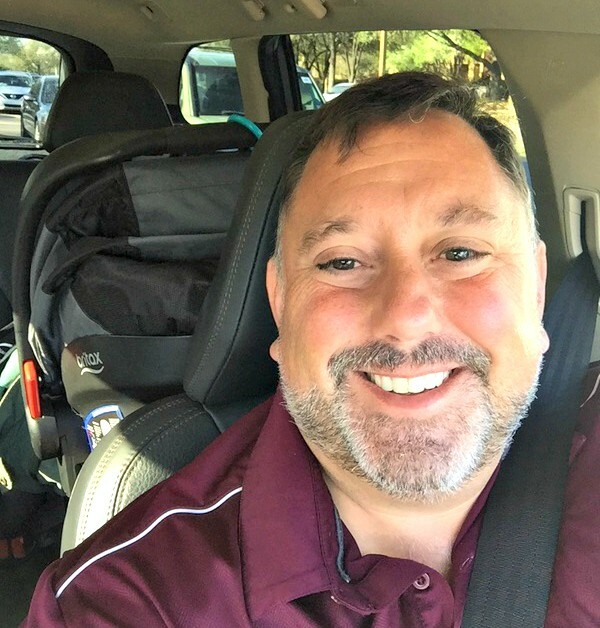 Andy left from Texas arriving in Arkansas to prepare for the delivery on March 19th; eagerly awaiting to fill the empty car seat behind him. Despite experiencing a high risk pregnancy situation, birth mom delivered a healthy baby boy on March 22nd, 2018 at 11:17 am. Andy and Peyton were overjoyed to finally hold their baby boy in their arms. 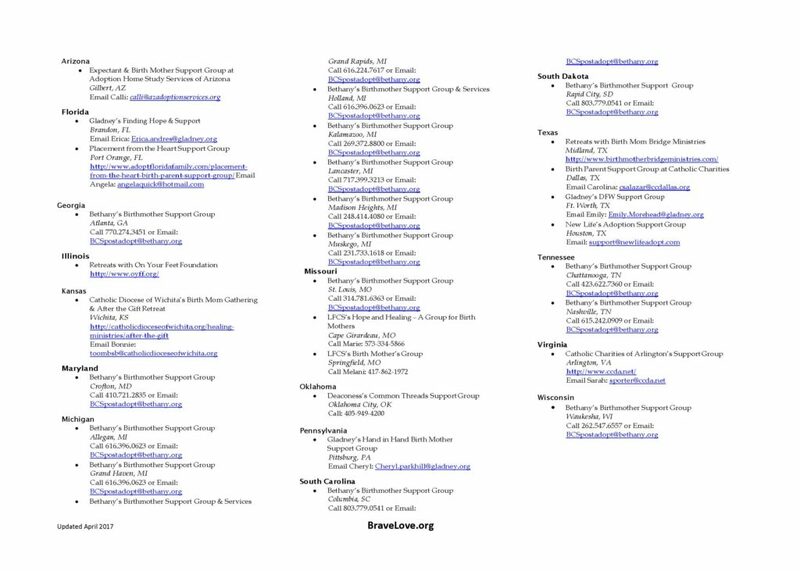 The adoption was officially finalized in Arkansas on March 28th, only 15 short months after signing on with Everlasting Adoptions. The new family made their way home to start their lives together. Thank you, Andy and Peyton for choosing Everlasting Adoptions to be the ones to guide you through the adoption process. We can’t adequately express our gratitude to birth mother for her courage and decision to give her baby life. Spring brings with it a promise of new beginnings and we look forward to hearing about all the new beginnings Andy, Peyton and baby will share as a family of three. Posted on March 23, 2018 September 25, 2018 in Everlasting Birth Announcements. 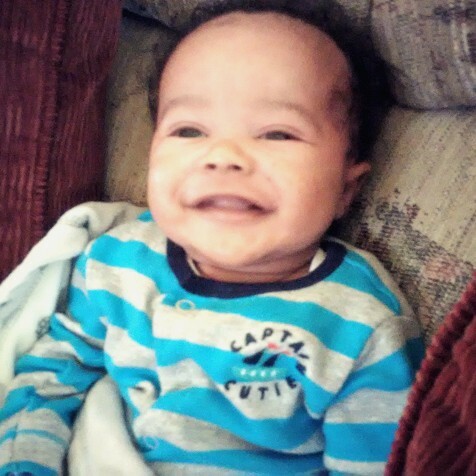 Yvonne joined Everlasting Adoptions at the end April of 2017, and just 10 short months later, she is the proud mother of her newborn baby boy, James. In August of 2017, Yvonne was selected by biological parents whose baby was already born and the birth parents were considering adoption because parenting was becoming a struggle and challenge for them. It turned out that this was not the situation meant for Yvonne. The birth parents decided to parent after all. Needless to say, it was an emotional ride for all of us involved. Life has its challenges for sure! The rest is history. James was born on February 15, 2018. Our gratitude goes out to Yvonne! As a single woman she had the confidence and trust in us to make her dream of becoming a parent a reality. Our gratitude and thanks also go out to the birth mother for giving her baby life and for letting us match her with the mother that was meant to raise her baby. Thank you to everyone who helped make this possible! Posted on February 14, 2018 September 25, 2018 in Blog. May love find you and fill your heart this Valentine’s Day. Posted on November 28, 2017 September 25, 2018 in Birthmother Experiences. 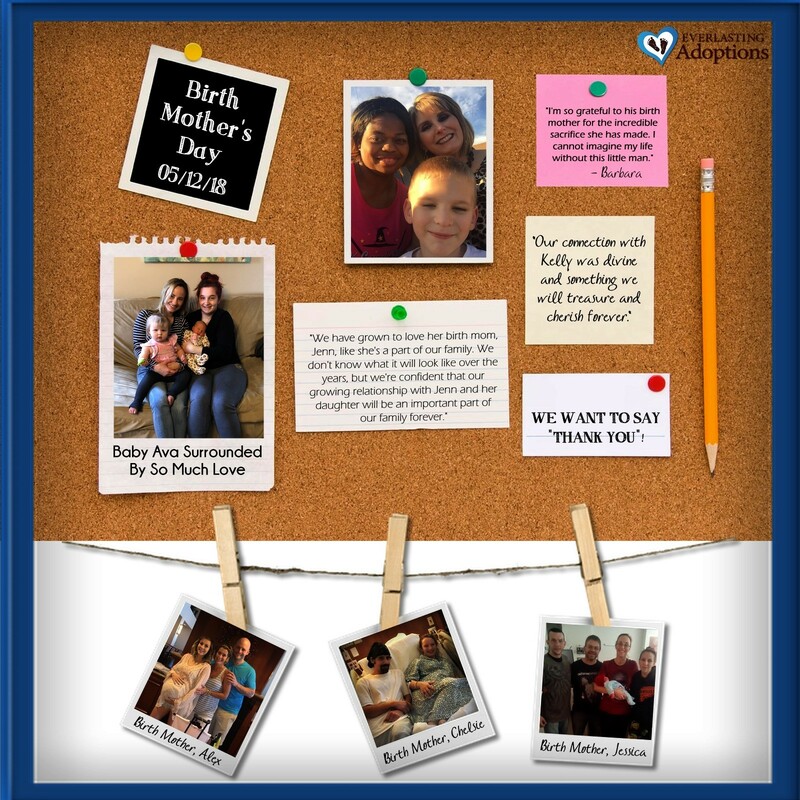 Birth mother, Jazmyn chose to have an adoption plan because she knew she wouldn’t be able to provide for a child. She knew there was family out there that would provide the love and support a child needed and deserved. Jazmyn already had the support of birth father, CJ. She reached out to Everlasting Adoptions to help her find a potential adoptive parent. She was overwhelmed by the support that Everlasting provided every step of the way. She was so appreciative of the staff, especially birth mother coordinator, Lisa who constantly reached out to her to provide guidance and offer help. When she matched with Nichelle, they shared an instant connection. Jazmyn knew she had made the right decision because Nichelle was very open and amazing. Nichelle made her feel great about her decision and was there for her during every step of the process. Nichelle and Jazmyn were even able to meet in person, which confirmed their decision. 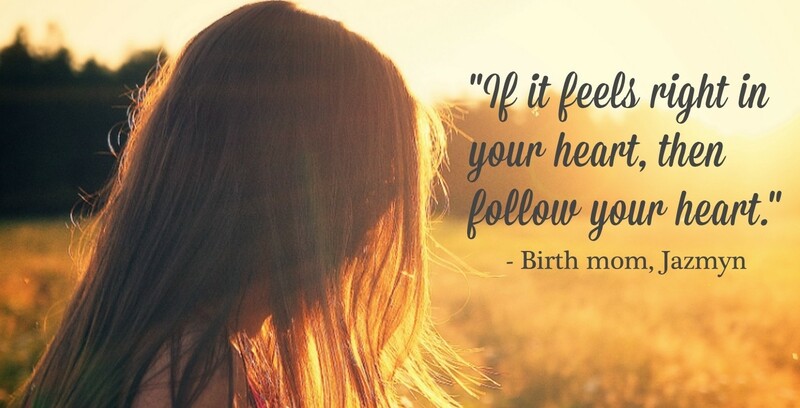 Jazmyn’s advice to other birth parents is if your heart is telling you that you are making the right decision, you should follow your heart. She wouldn’t change any decision she made because she knows in her heart it was for the best.